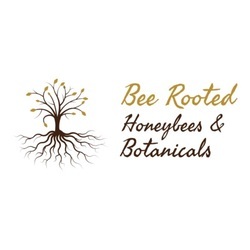 Bee Rooted products stem from the desire to live naturally and connected to the earth. We strive to use as many locally sourced organic botanicals, beeswax, and honey as possible. As such, our inventory continually changes. Peruse our online store to browse the constantly changing availability of personalized and limited edition products. In addition, we participate in various vending and farmer market events in Southern California. Find us on our online calendar. When you buy our products, you support a small business, support our beekeeping efforts, and support our community volunteer efforts. 1% of all profits will be donated to create honeybee sanctuaries and promote pollinator education. ​Product will be shipped via USPS after payment has been cleared or you can email us at beerootedbees@gmail.com to arrange for San Bernardino County pickup. ​Since we make products in small handmade batches, we run out of stock quickly. Preorder now or contact us at mailto:beerootedbees@gmail.com to request we make your favorite!